Seven years ago, Lexi Solomon had a run of bad luck; her sister was gruesomely murdered in a shopping mall and her husband left, leaving Lexi to raise their daughter on her own. All of a sudden, Lexi is faced with the return of her drug-addict husband, the parole of her sister's murderer, and demands for debt payments from an old acquaintance. Lexi nearly loses her grip on reality as she must determine what matters most to her in life. Erin Healy 's Never Let You Go is the author's debut stand-alone novel sans Ted Dekker , who co-wrote Kiss and Burn with Healy . The Christian undertones and messages in this novel are incredibly strong and not at all subtle, which makes for an incredibly predictable experience for the seasoned reader. The novel is dramatic and flamboyant; falling more into a fantasy sub-genre versus suspense. Lexi's near-poverty is overly exaggerated, and although we understand her struggle with matters of faith, other contributing factors make the story far-fetched. 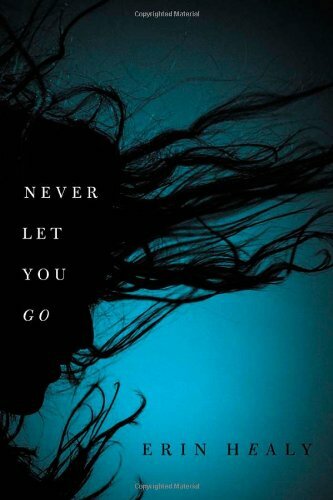 The reading experience of Never Let You Go is similar to a roller-coaster; it starts out slow, but makes for an exhilarating ride until the end. Although the book is displeasing, it does send a powerful message in terms of choosing your battles when it comes to faith.